We were slowly bumping our way down a dirt road in Kenya’s Masai Mara ‘enjoying’ what locals call “The African Massage”. Another Safari Jeep was coming the other way. As customary, our driver Eric slowed to a stop as we crossed and had a quick conversation in Swahili, exchanging information about where the animals were today. Usually these are fruitless but this time Eric seemed animated. The conversation was short. Eric pressed the pedal to the floor. As we reached crested a hill, we could see hundreds of wildebeest and zebras scattered all the way to the horizon. Curiously, there was a strangely empty patch in the middle of the migration. We hurtled towards it. As we drew closer other safari vehicles appeared out of nowhere, almost racing us to our target. Slowing to a stop, we saw a vicious but glorious sight. Just moments before, a cheetah had chased down a young wildebeest. Now a mother and her two cubs were ravenously feeding. 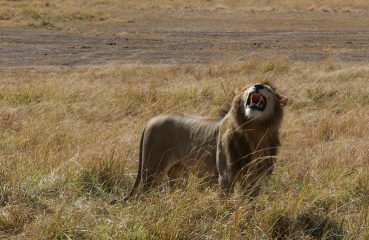 One thing we learnt being amongst the animals and seeing them interact in the wild is that the food chain in the Masai Mara is not what you might think it is. The kings of the plains are not the lions and leopards but actually the elephants. Bigger and stronger than anything else, no one gets in the way of the aggressive and arrogant elephants who shake the ground as they walk and trumpet their warnings. However, elephants, like lions, leopards, hippos and especially crocodiles are very vulnerable when they are young and not yet fully-grown. As we watched the leopards feed we noticed the mother would intermittently look up and scour the horizon for predators that might attack her vulnerable young. The cheetah is one of nature’s most effective and efficient killing machines thanks to being able to accelerate to 60 miles an hour in under 3 seconds. However, the strain of running at that speed means the cheetah can only hit this top speed on average once a day. If another predator arrived on the scene and felt peckish, the cheetahs would have to leave or risk becoming a meal themselves. 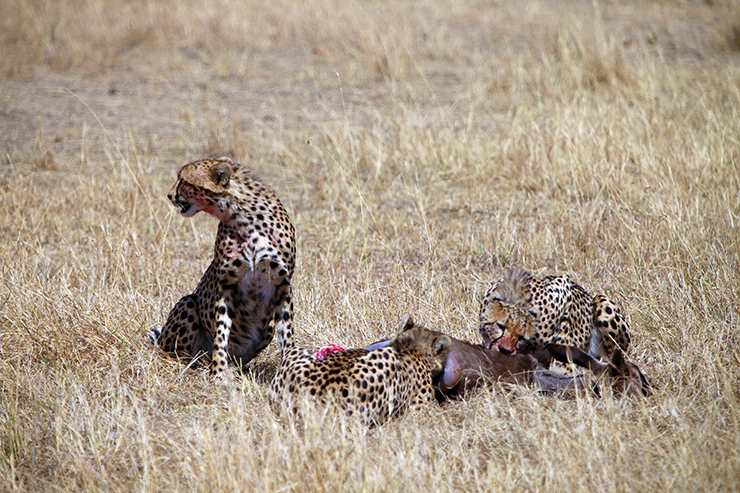 The three cheetahs made very quick work of the wildebeest stripping it of its meat in less than 15 minutes before withdrawing the safer grounds where the mother could rest and protect her young. 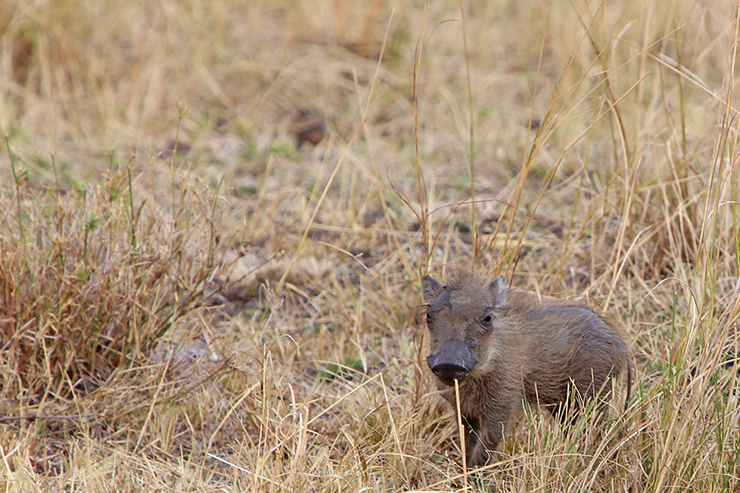 The young animals, although vulnerable, were always the highlights of the animals we saw. Whilst the two cheetah cubs were close to adulthood and independency, we were lucky enough to be able to observe a pride of lions with three younger cubs lounging in a small forest on a river bank. The cubs interacted with their parents and each other like kittens do: playing with each other until suddenly becoming tired and rolling over for a nap. 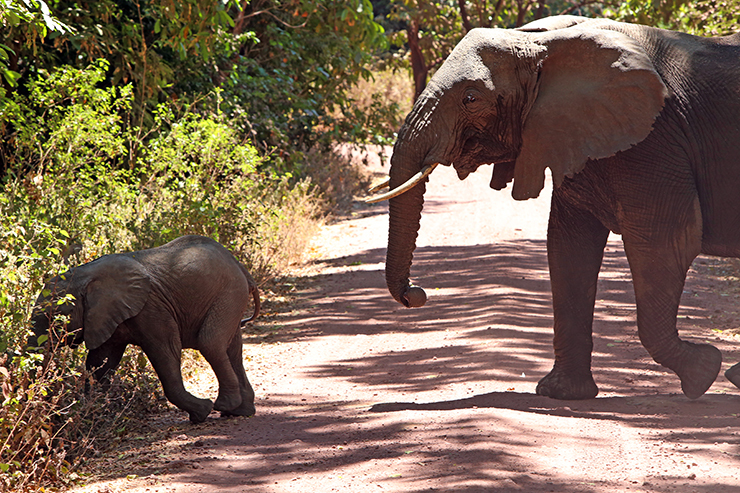 Elephants live together in families and, due to the young being vulnerable, always travel in a line with an adult at the front and another at the back of the group to protect their young. 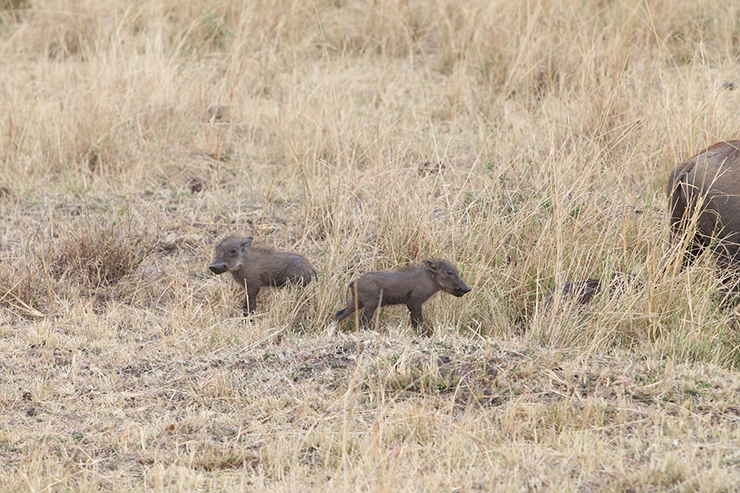 The cutest animals of all though… this warthog family, which had three baby warthogs. Eric estimated that they were just one week old. Whilst watching cheetahs devour other animals might not be everyone’s cup of tea, the wild and brutal nature of the Masai Mara is what makes the experience incomparable to anything available at home. Zoos are a good way to see exotic and rare animals, but the very nature of a zoo means animals are safe from predators and therefore live a very sedate and slow life. In the Masai Mara, with crocodiles in the river, lions roaming the plains and hyenas prowling at night preying on the weak and injured, the plains are full of nervous energy as the zebra and wildebeest nervously traverse the plains constantly looking for food and safety. We’d strongly recommend making sure you have a good guide for your safari. Eric had an almost uncanny ability to spot a lion half a mile away or a crocodile lurking near the waters’ edge. At one point we saw a wildebeest that had been killed but not eaten. Eric knew it must have been a lion so drove the jeep to the nearest stream. 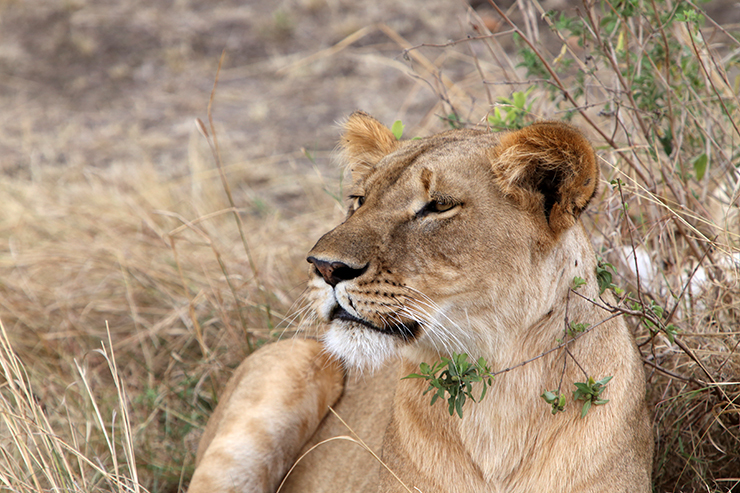 He pulled up at the edge of the bank and sure enough there was a female lion, sleeping less than 10 feet from us. She woke up, looked at us, and we moved on. It certainly was a thrill to see these animals in the flesh, but the real thrill of the safari is to see how they interact with each other. Whether it was the lions and their cubs playing together, wildebeest swimming across the Mara River trying to avoid crocodile attacks or cheetahs devouring their prey, the breath-taking moments of our safaris were the interactions between these amazing forces of nature. Julia’s River Camp is located in the north of the Masai Mara and is a safe, comfortable and charming glamping camp. 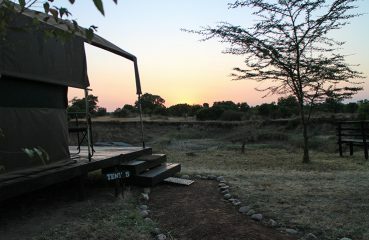 Julia’s River Camp offers really good value for money and game drives are included. We will be publishing a full review of Julia’s River Camp on the blog so please check back next week. Thank you to Julia’s River Camp and Kananga International for sponsoring our stay. We had only been asked to review their tented camp, however had such a great experience with them that we wanted to share with you other facets of our amazing adventure. As always our opinions are always honest and our own. what an absolutely amazing adventure, this is at the top of my wander-list and I can hardly wait to experience this myself!! Thanks for sharing! Thanks so much Amy! I hope you get to go soon! You won’t regret it!